Display them with brightly colored vegetables like beets, carrots, red and green peppers, eggplants and citrus. Include everything from dressing, spices and dips to stuffings and ingredients like tuna, canned salmon, smoked chicken, deviled ham, marinades and prepared sauces. 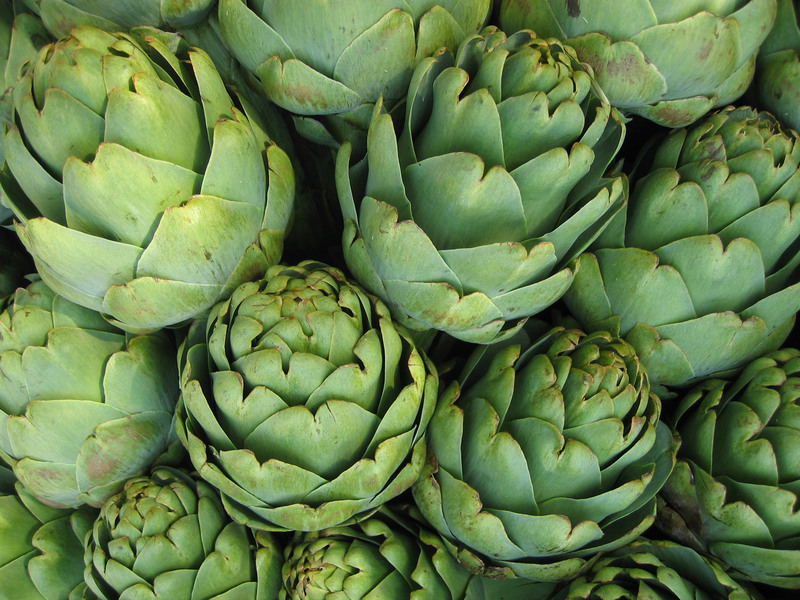 Each artichoke variety is a star in its own right. Show them separately – like Granny Smith apples from Red Delicious. Artichokes star at any holiday. Turn Christmas, Hanukkah, Easter, 4th of July, Labor Day and other seasonal events into profitable merchandising opportunities.